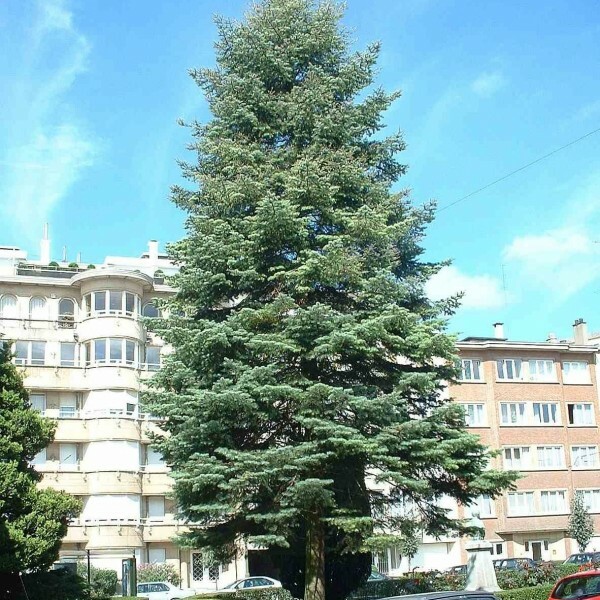 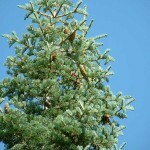 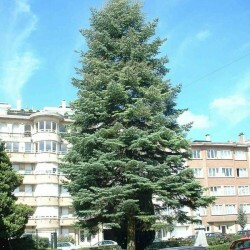 Medium to tall fir of central to western United States having a narrow erect crown and soft wood. 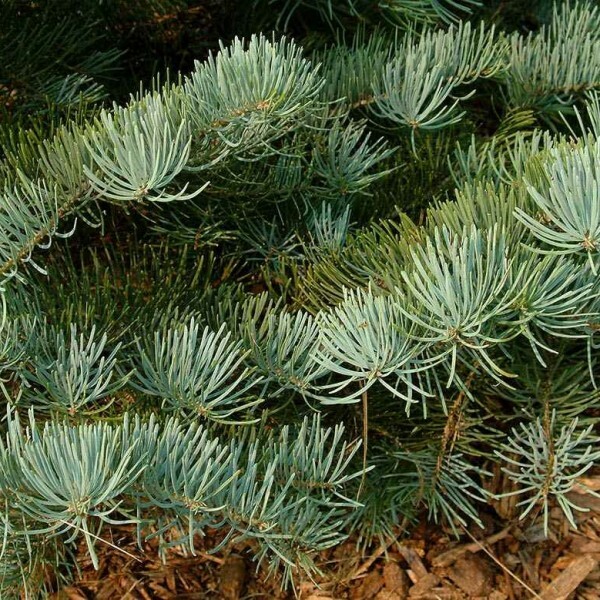 Evergreen tree with a striking silvery light blue color, white fir is a pyramidal evergreen tree native to western North America. This large coniferous tree is admired for its short, soft needles of silvery blue-green and its dense symmetrical habit. 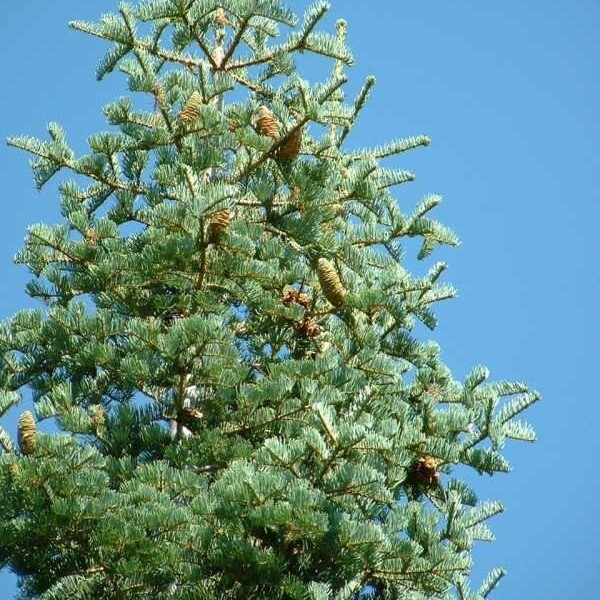 The female cones are green when immature, then brown at maturity, usually only found in the upper third of the canopy. 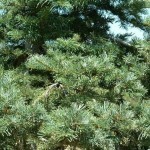 Its bark is whitish gray and new twigs have a yellow-green hue and are slightly hairy.